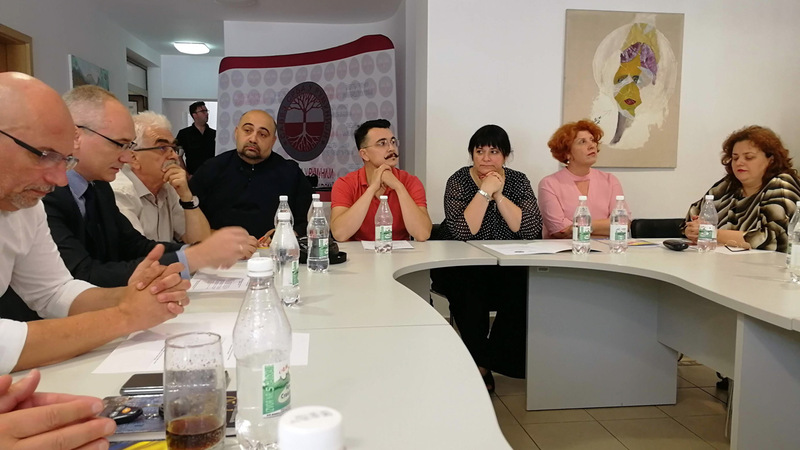 On July 8, a one-day panel discussion “Open on the future of Serbian-Romanian cooperation” was successfully held in Timisoara, within the project “Roads of Dositej Obradović – promotion of Serbian language and culture in Timisoara”, approved by the Ministry of Foreign Affairs, the Directorate for Cooperation with the Diaspora and the Serbs from the region. Apart from representatives of the partner associations – Development Center for Youth from Belgrade and the Alliance of Serbs in Romania, the panel brought together eminent representatives of the Serbian community in Timisoara, and the meeting was officially opened by Mr. Ognjan Krstic, president of the Alliance of Serbs in Romania, as the host. In addition, the General Consul of the Republic of Serbia in Timisoara, Mr. Vladan Tadic also welcomed the participants, pointing out that the data clearly indicate that Serbian-Romanian cooperation is one of the most developed bilateral relations in the region, but that there is always space for improvement, and that he hopes that this project will bring a series of additional activities that will improve and strengthen the position of the Serbian community in Romania. During the multi-hour discussion, the partner organizations briefly presented their previous activities, as well as the flow of the project, introducing the participants with the actions to follow – a concert of the music band and the hosting of the amateur theater from Serbia, planned for September/October 2018. 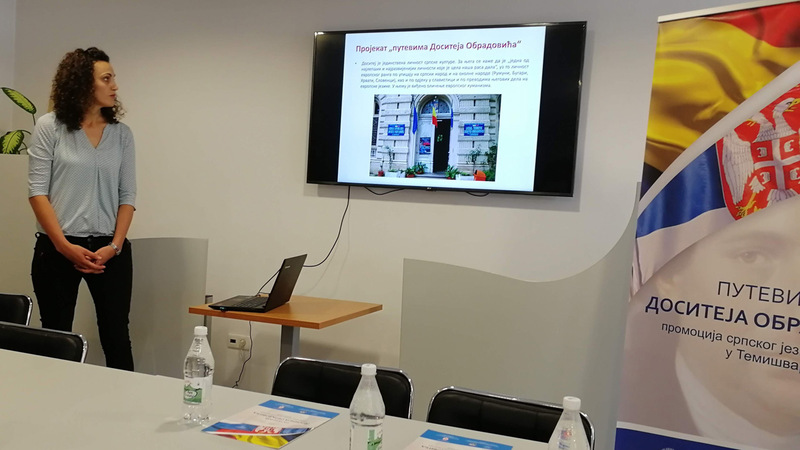 Speaking about various areas where cooperation can be enhanced and improved, a special focus was put on the tourism, and as part of the discussion, MBA of Tourismology, Mrs. Marija Čolić held a presentation “How different categories of tourism can contribute to the improvement of bilateral cooperation”. Subsequently, participants also discussed the provision of additional funds for the implementation of all planned joint activities in the future, and touched upon the theme of the available instruments for improving cooperation, with a focus on national, regional and international funds. It was agreed that the next meeting will be organized in late August, since Development Center for Youth sent a call to the partner to attend one of the most important tourist events in Serbia – the „Days of Plum“ in Blace, which will be held on August 24-26, 2018.